Costa Rica Castle: "We have a problem.."
Starting this blog in rainy season means many stories will be about nature, the Castle, or our local population since tourists are not so common. When is rainy season? It´s not as simple as the guidebooks explain and depends where you are. Here dry season starts about the middle of November and the sunshine stays through April. May brings the first rains and can be heavy, but mid-June through August are known locally as small summer and although it rains at night, the days are still sunny. September and October tend to be the heaviest months for rain so I was a bit surprised when Klaus called me from Germany and said a couple comes to stay despite his warning of heavy rain and all the fun that goes with it. They arrived yesterday and this morning I drove them to Samara to get a new hotel. From the moment I saw them standing on the road I knew we had a problem. After 24 hours of travel from Germany to Costa Rica it´s tough for anyone to smile, but the shock factor was worse and they hadn´t even seen the car yet. The castle "Chariot" is a Dodge raider held together with parts from other cars and lots of luck - it´s very Tico. After loading their fancy new backpacks I turn the key and hear the familiar click when the starter doesn´t feel like working. I grab the trusty screwdriver, pop the hood and proceed to hot wire the problem. The raider sparks to life and the big my smile on my face doesn´t compare to the frown on theirs. People surprise me all the time so maybe things will get better. At this time of year you have to take the "long way" since the river is too high to pass. After 13 miles of bumpy dirt roads, the smell of gear oil and no conversation we arrive at the Castle. Chris runs the Wunderbar this month and has two cold beers waiting for our new guests. I sense the relief of finally arriving when the man says "everything will be all right as long as we have a clean, pretty room." Expectation and perception shape our experiences and give us all the ability to suffer or smile. Honesty without hesitation works for me in these moments so I pick up the bags and say "let´s go look at your new room." Now it´s my turn to gauge their honesty. Ten minutes later he walks from the room, sits at the table, takes a deep breath and says "we have a problem." "You don´t have to be very perceptive to see that" I say. In an instant the dam of awkwardness blows up and real conversation flows. They admit they need more luxury and although they want something off the beaten path, being trapped by muddy roads and rivers without a car is a bit much. They know they were warned about the conditions, but were very excited about such a peaceful retreat away from stress. We tell our stories and realize we have similar backgrounds and now the man opens up telling us more about the catalysts in his life that reawaken the question of satisfaction and happiness. This conversation is always welcome and it becomes obvious they´re not arrogant complainers, but a loving couple exploring their lives. I see the unique effect this place has on people whenever the environment strips away formality and leaves honesty. As I said earlier, people surprise me. I´m sure this couple will always remember their first night in Costa Rica at El Castillo. I know I will. How does one end up making pizza and bread in a castle on the beach in Costa Rica? 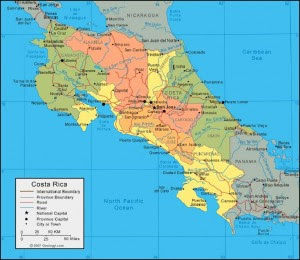 In November 2005 I arrived in Costa Rica. I changed direction to better answer the questions of my own satisfaction and happiness. There wasn´t a defining moment of change, just an awareness of not exploiting my potential to explore more and react less. Big company or small brought confidence but paid more for skill than passion. Taking a chance to find a better mix of both I lightened my load. With everything sold, given away or stored I started in the direction of outdoor interests with a raft guiding job in Colorado. The magic of the river and entertaining people made me think I´d go back until landing in Costa Rica. Instincts brought me to the Pacific beach staying in Samara for about a month until realizing a place with a kitchen was a must. A walk to the next beach Buena Vista brought Klaus and his hotel El Castillo into my future. For the next five years I explored my cooking passion with my own ideas serving guests of the hotel. In the end, pizza turned out to be my best product and I discovered the joy of baking bread. I didn't start this blog until 2008, but the articles, pictures and videos give a first hand look at selling it all and living on the beach in Costa Rica. Type in your e-mail and automatically receive a message when new content is published on the blog. A great place to start..
New Show Coming Soon!!!! - In the coming months Cook It Yourself will be updated to a more modern platform and will start providing recipe demonstration videos. Stay tuned!!!! Don Klaus Live and More! Chris took some good video while I was in California. Enjoy!